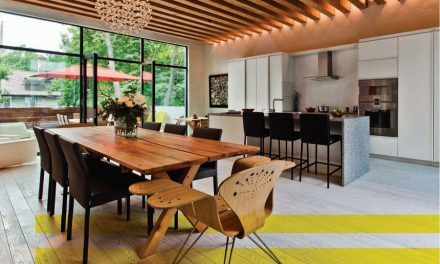 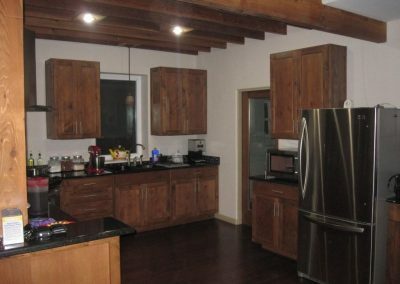 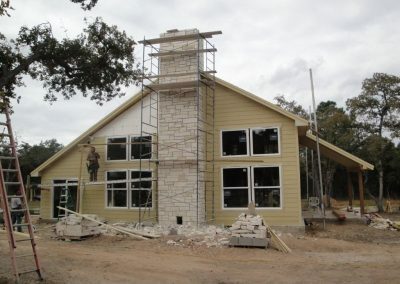 When Marvin and Dolores Groves began planning their dream home in Bastrop, Texas, they knew they wanted to do it right. 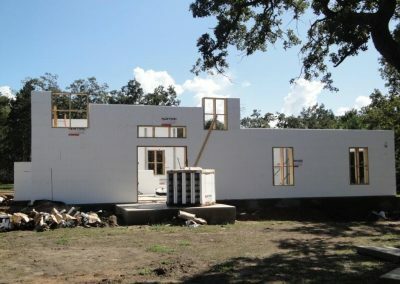 They generated “mounds of research” looking at the best way to create an appealing, comfortable house that was as durable and independent as possible. 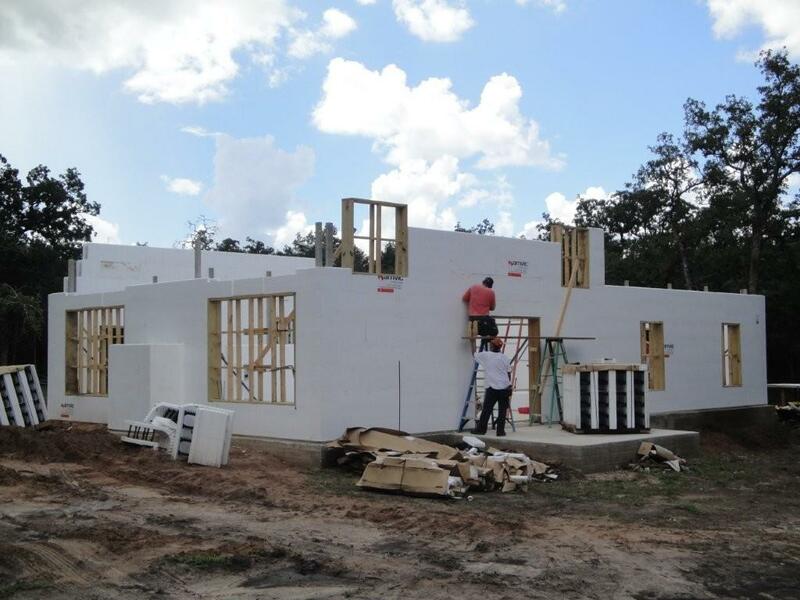 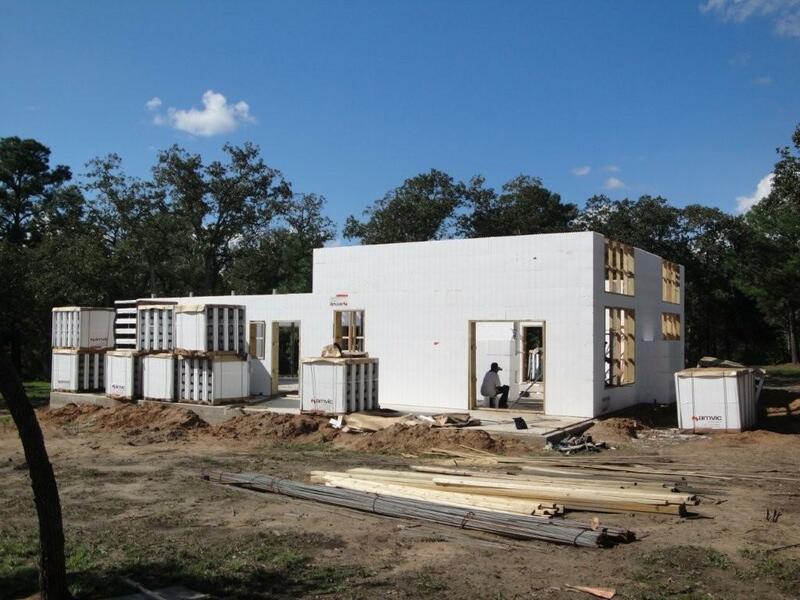 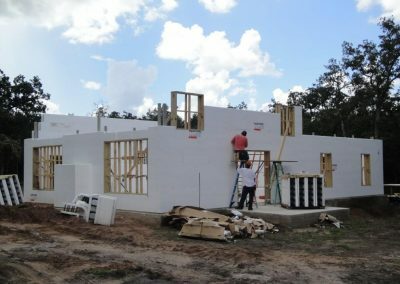 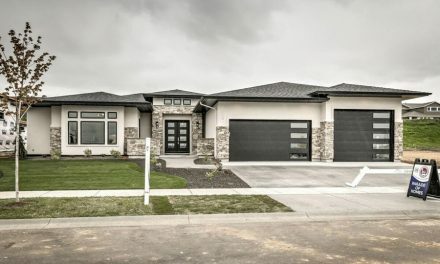 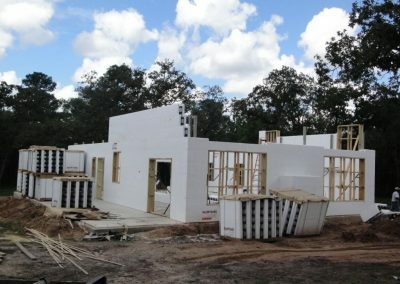 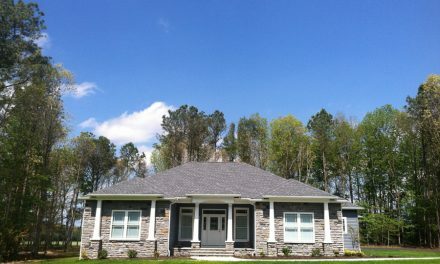 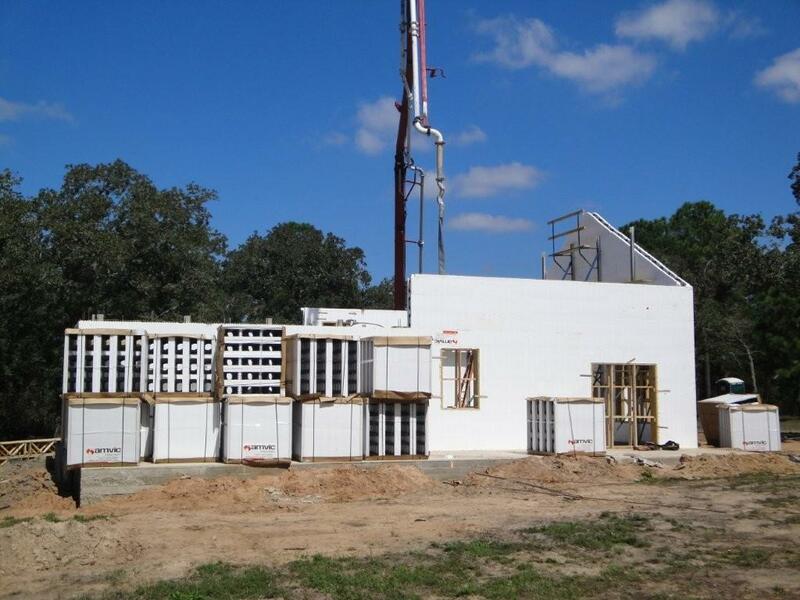 They contacted James Johnson at Integrated Wall Systems, a local Amvic ICF distributor, early on in the process, but more than a year went by before Johnson convinced them that he had the product and construction know-how to make their dream a reality. 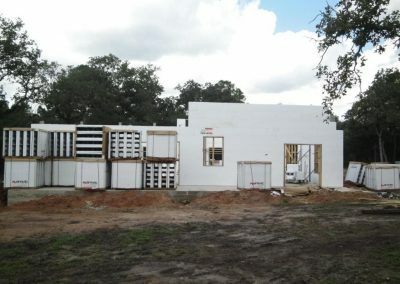 Matt Zetlmeisl of ICF Constructors got the nod to do the install. 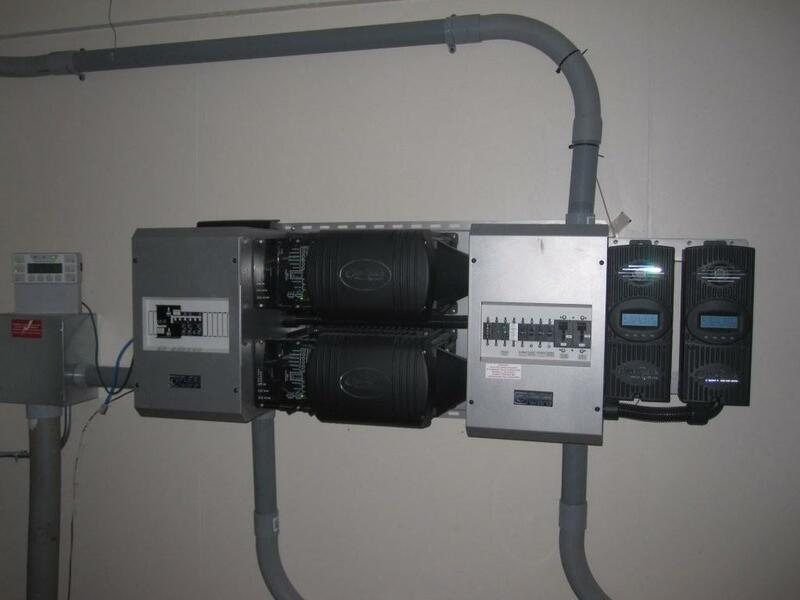 All electrical needs are met by a combination of solar panels and battery storage. 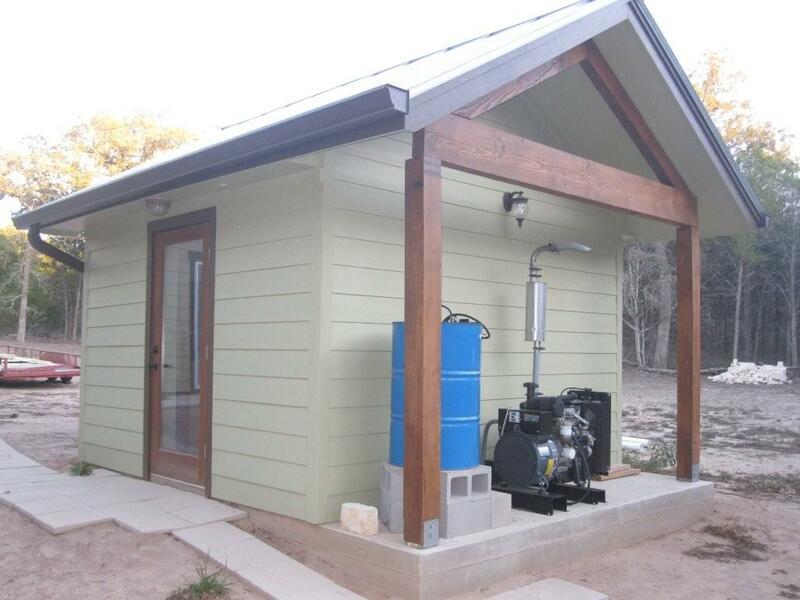 For emergencies, an emergency diesel-powered generator is onsite. 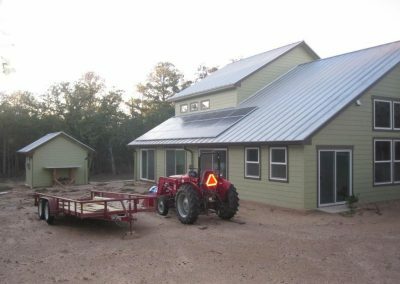 To deal with the Texas heat, the house uses 5 mini-split air conditioners that can be operated easily by solar and battery backup. 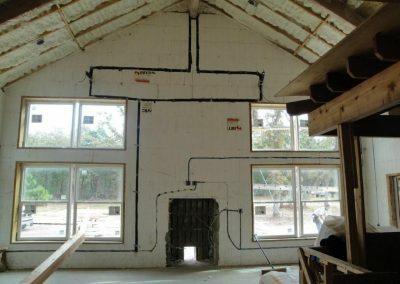 In winter, heat is supplied by a single high-efficiency wood-burning fireplace and an enclosed southern porch for passive solar. 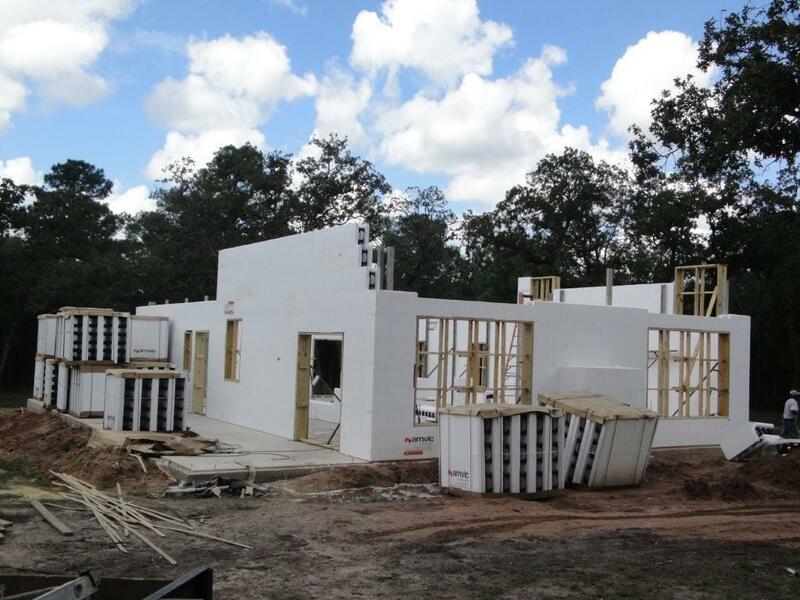 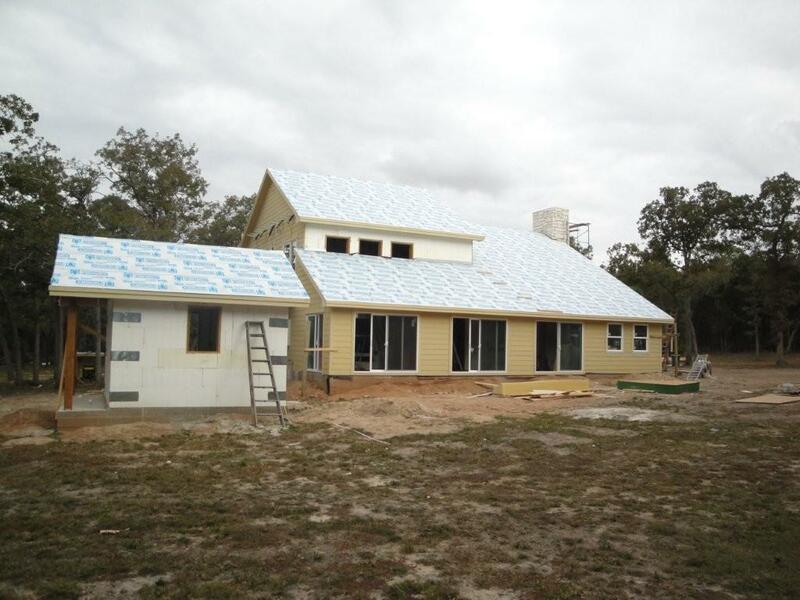 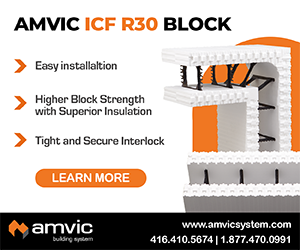 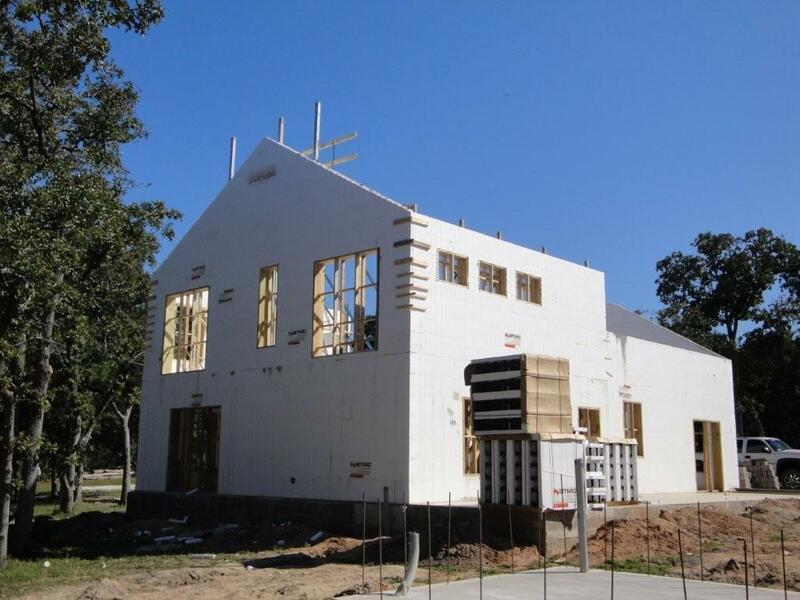 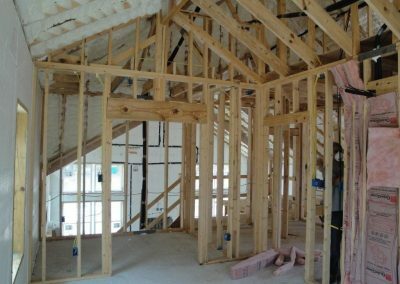 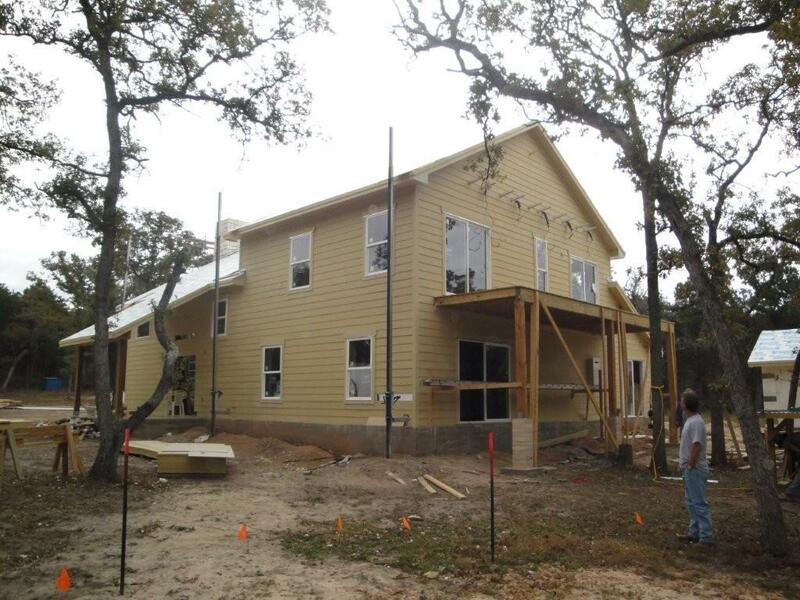 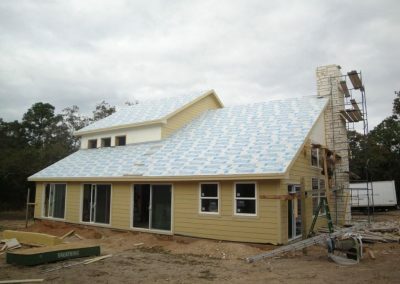 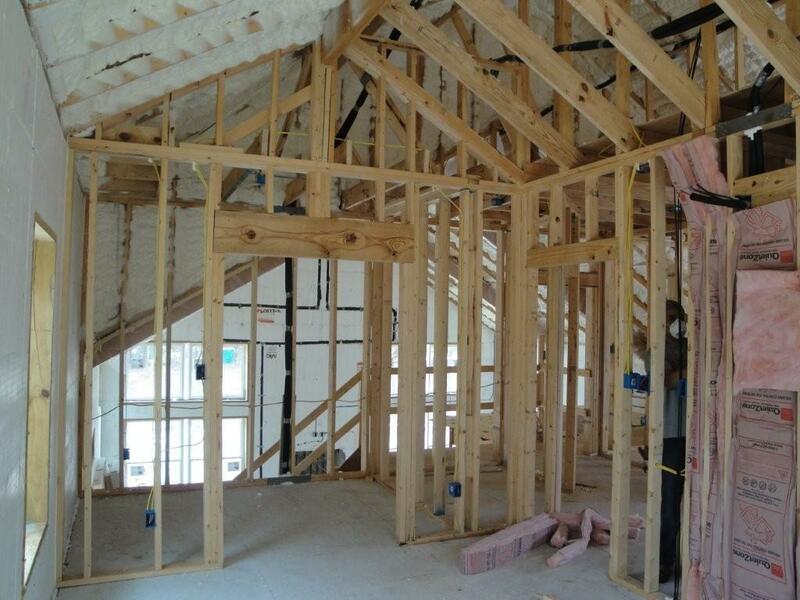 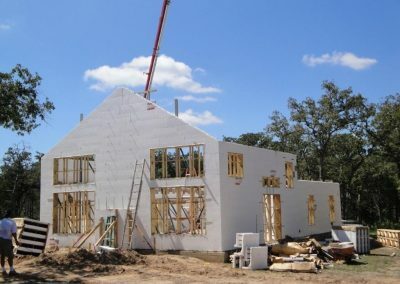 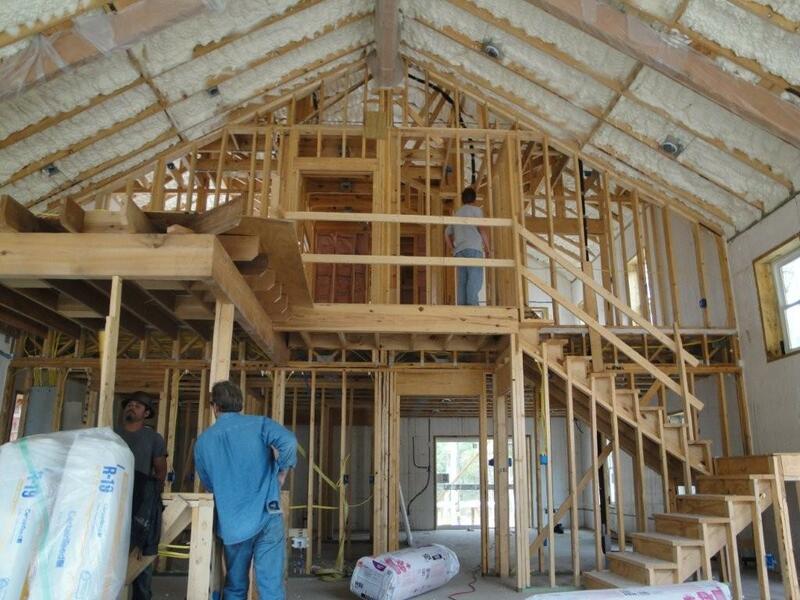 Amvic’s 6” core ICF was used for the exterior walls from the footings to the top of the gables. 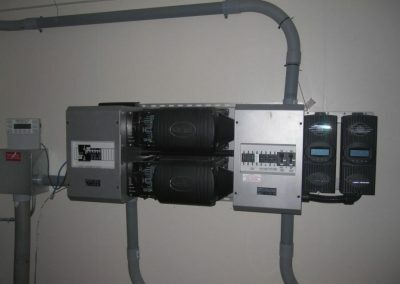 An adjacent building housing the solar energy system electronics and battery array utilizes 4” core ICF. 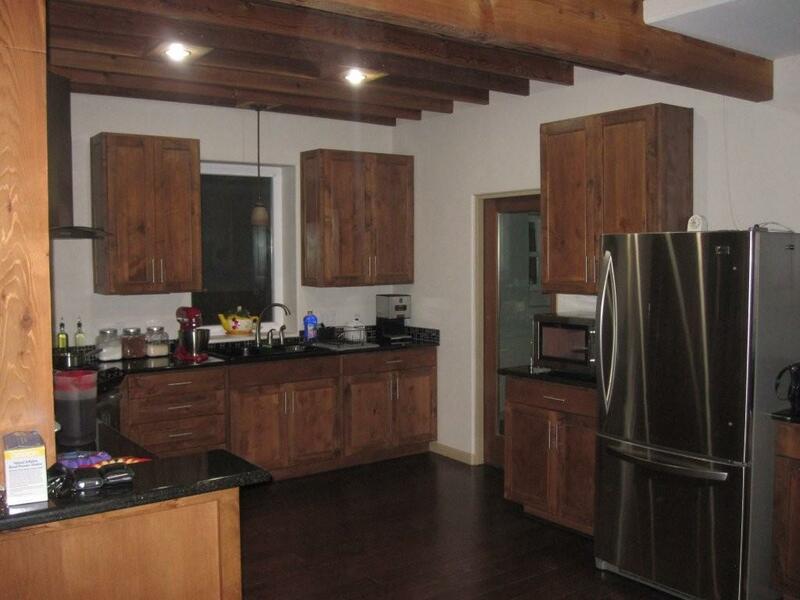 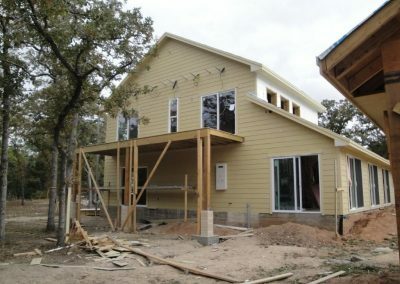 Six months after the home was completed, a massive wildfire broke out nearby. Characterized by the Houston Chronicle as “one of the most devastating wildfires in Texas history,” it burned over 32,000 acres and destroyed more than 1,500 homes. 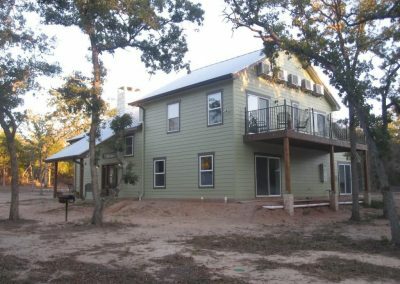 While the Groves had to evacuate due to the proximity of the flames, they were confident that their dream home would be spared. 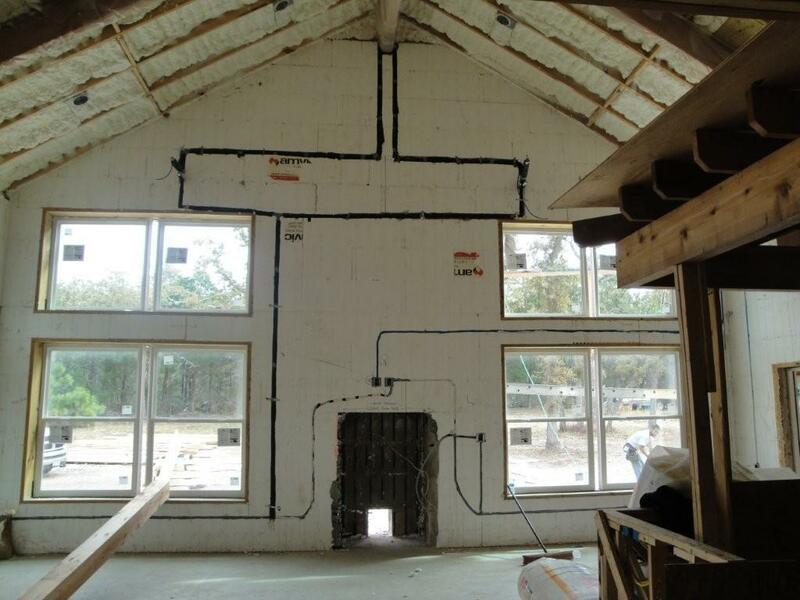 Fortunately their faith in ICFs didn’t have to undergo a trial by fire. 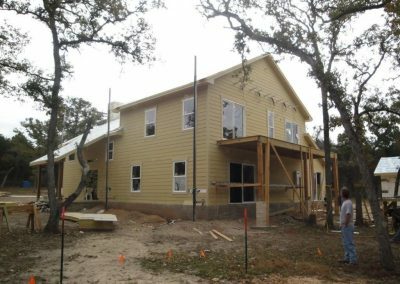 And while neighbors waited—sometimes for weeks—for power to be restored so they could return home, the Groves were able to return home while all surrounding electrical infrastructure was offline. 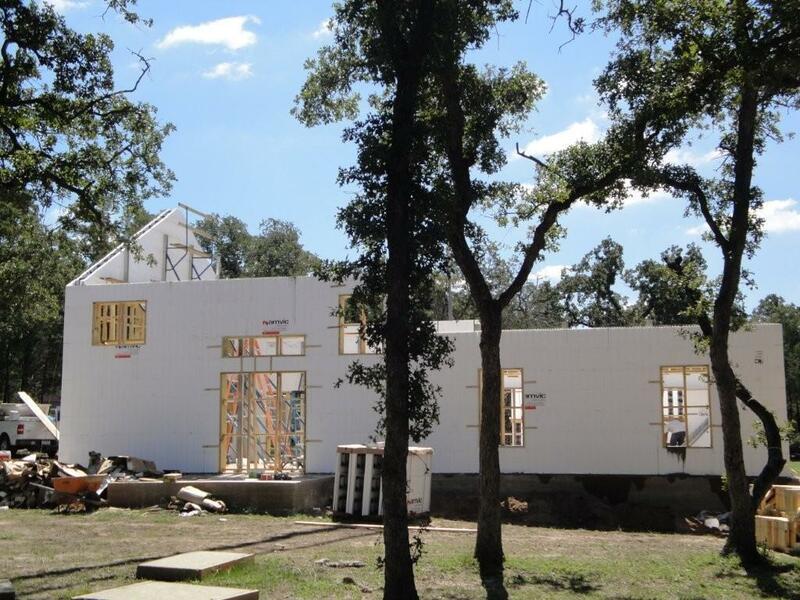 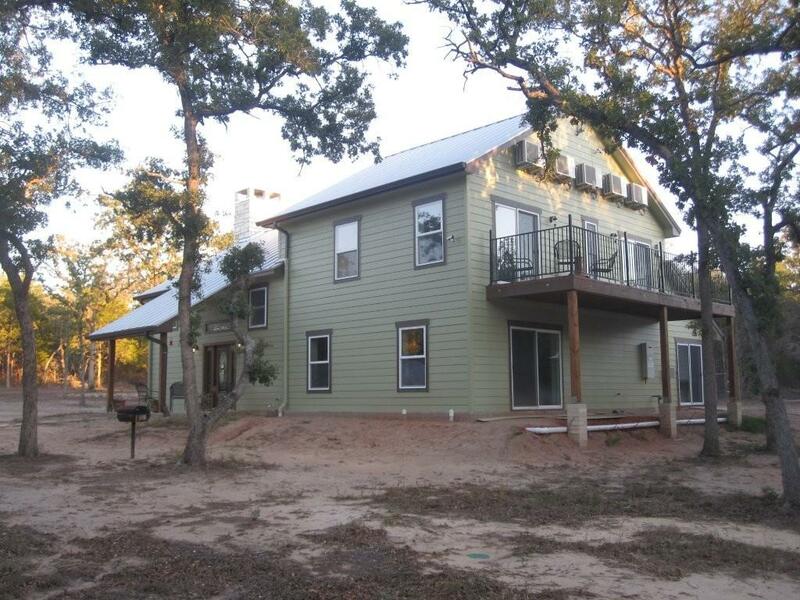 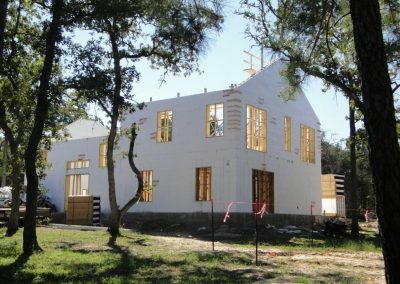 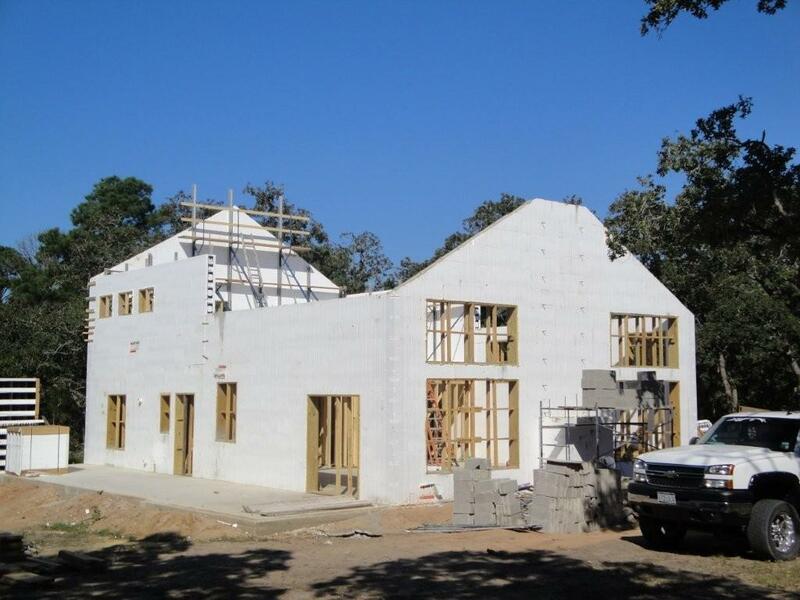 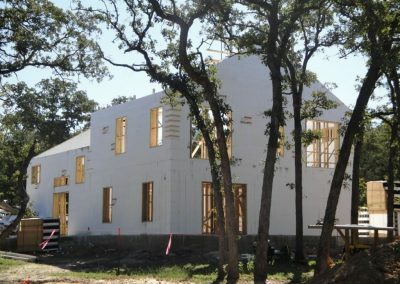 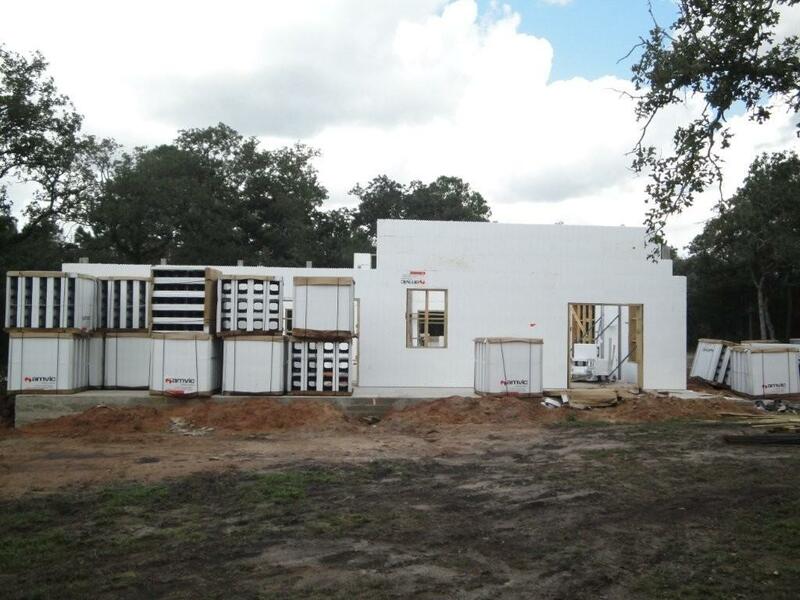 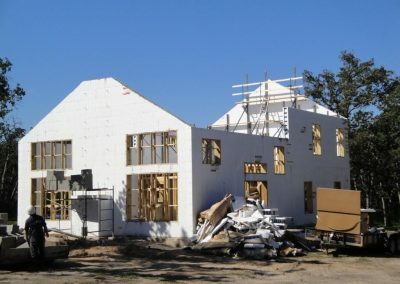 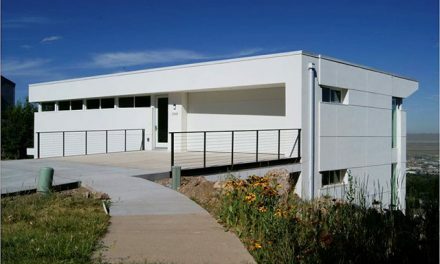 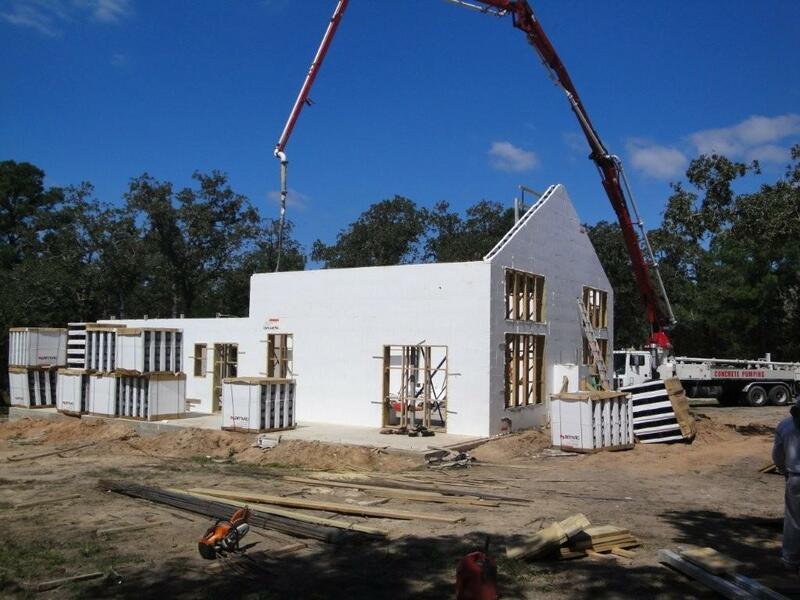 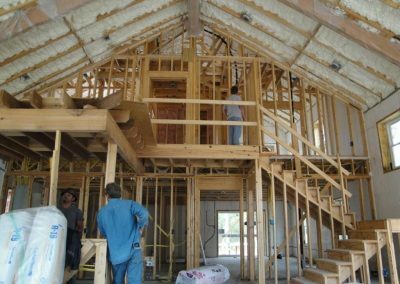 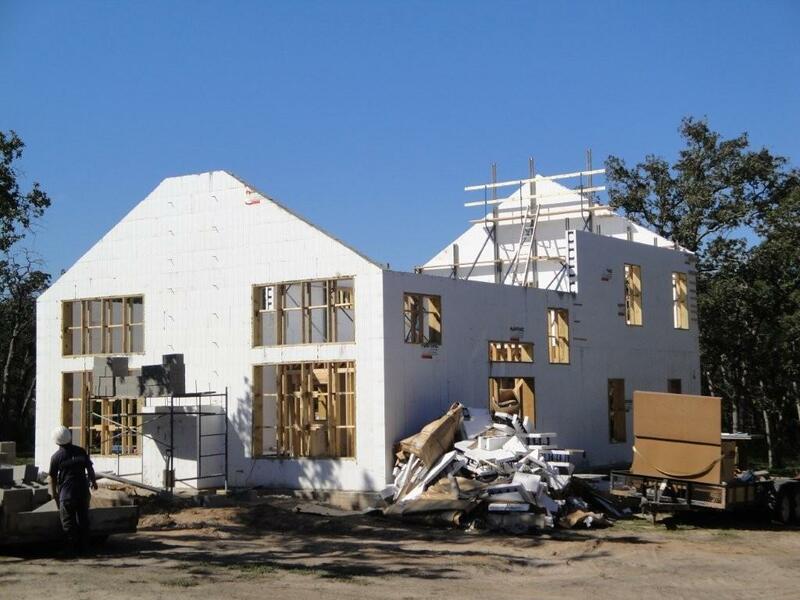 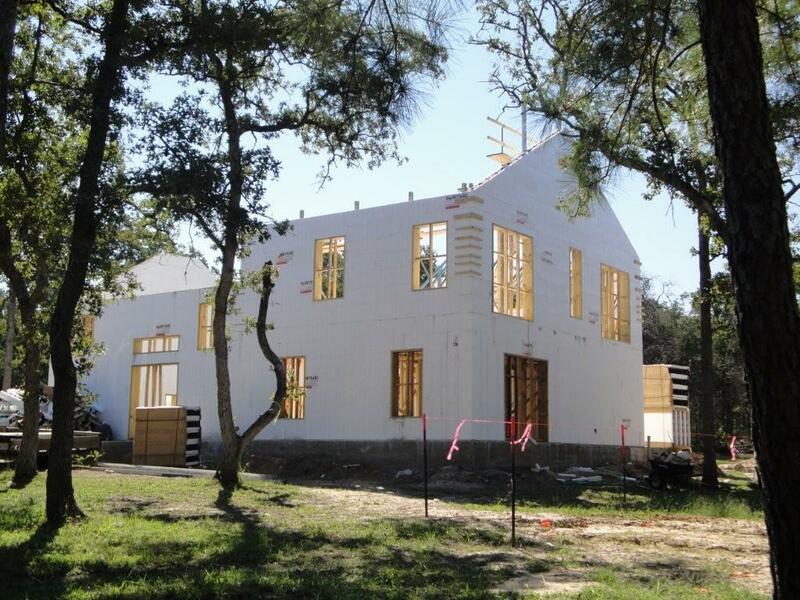 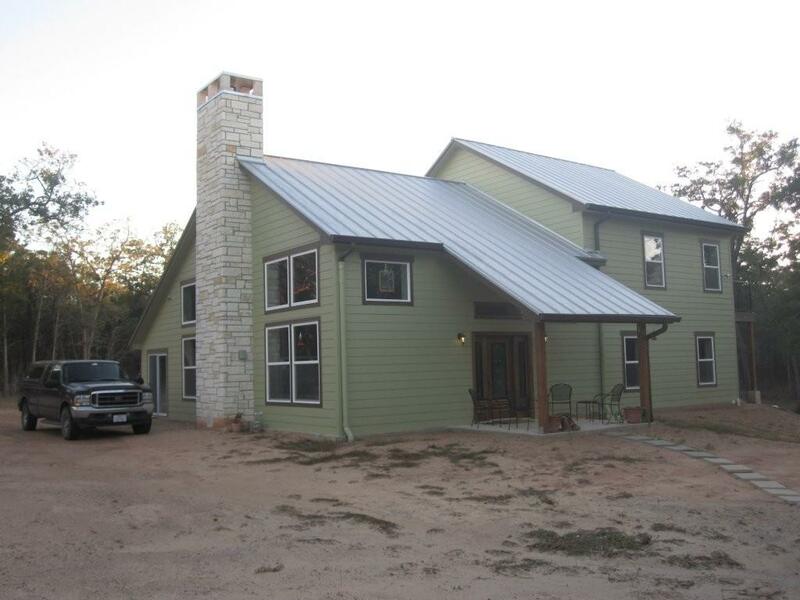 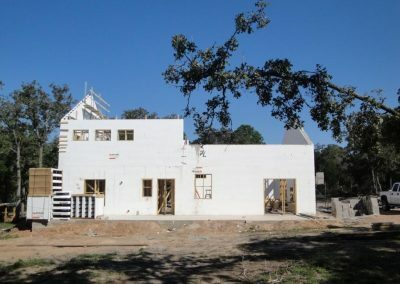 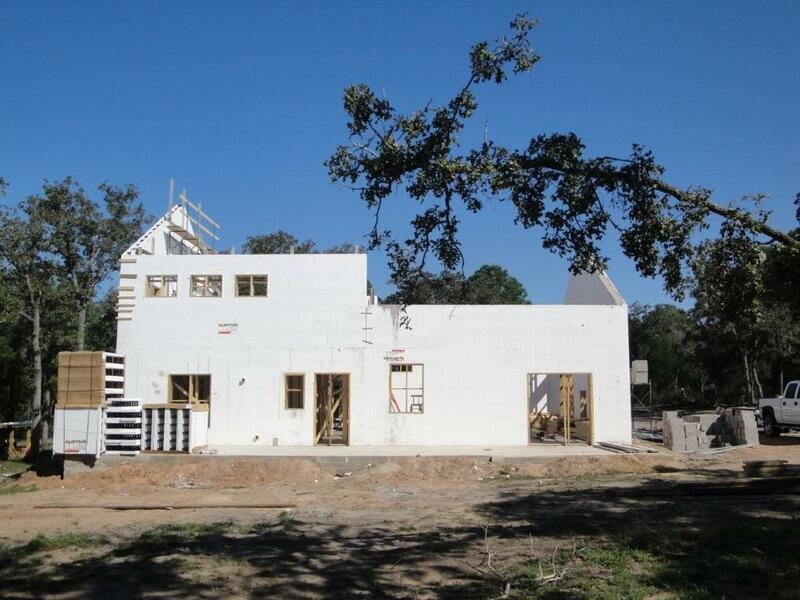 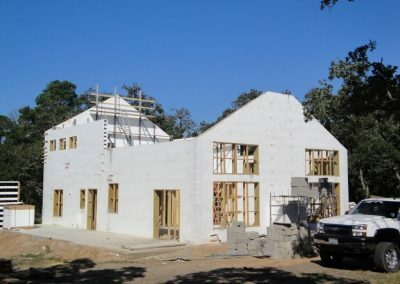 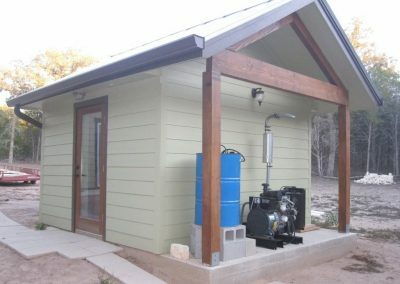 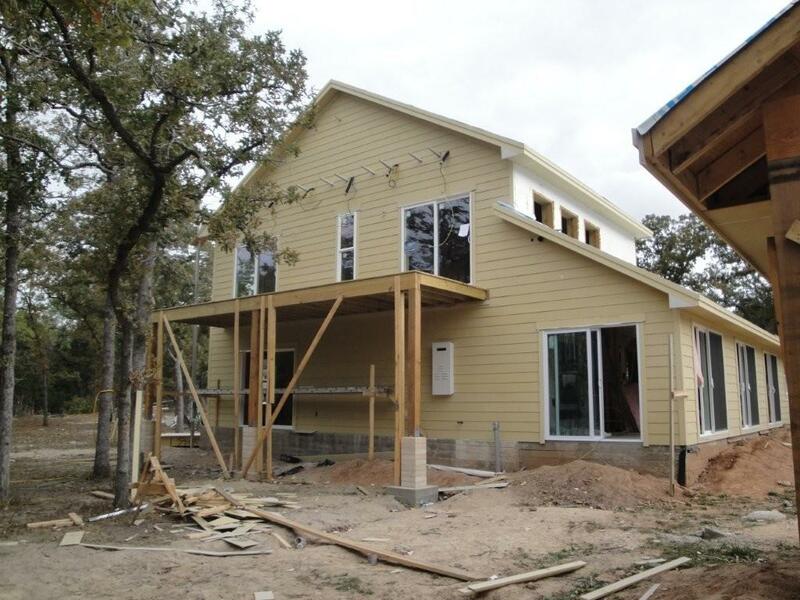 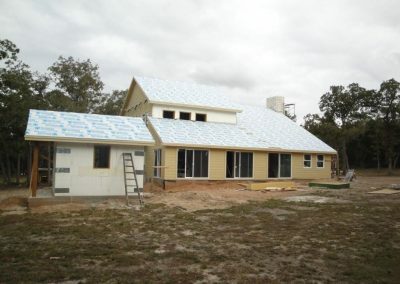 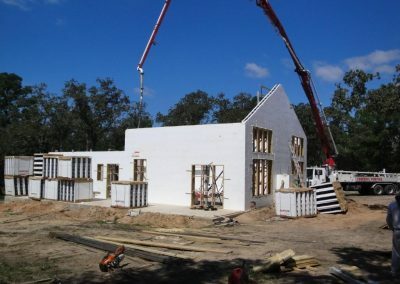 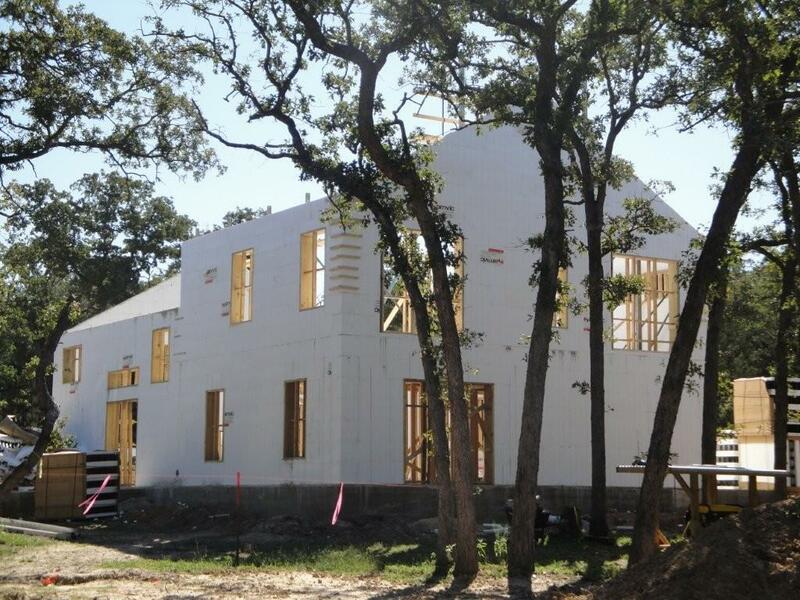 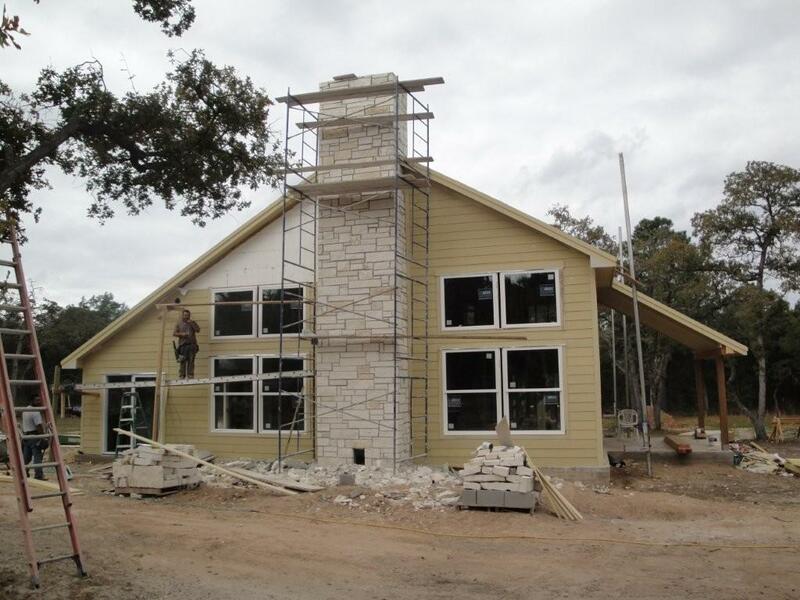 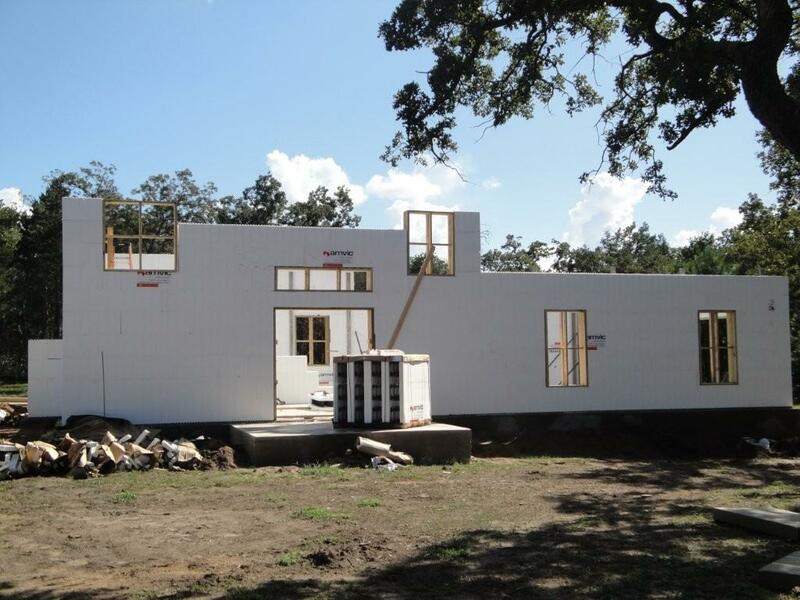 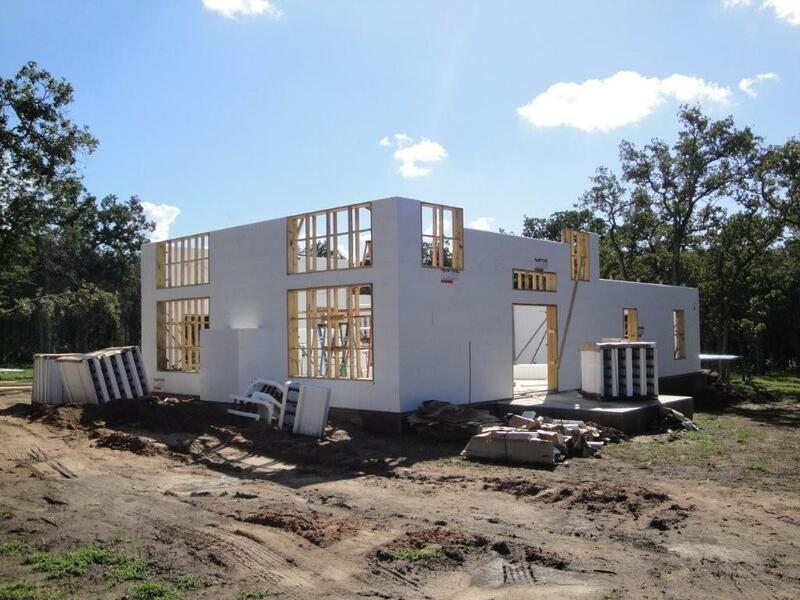 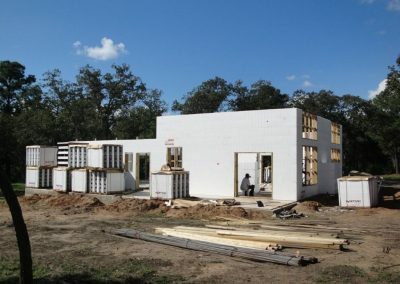 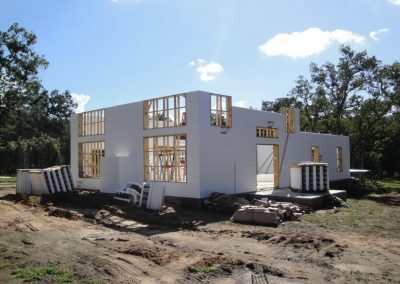 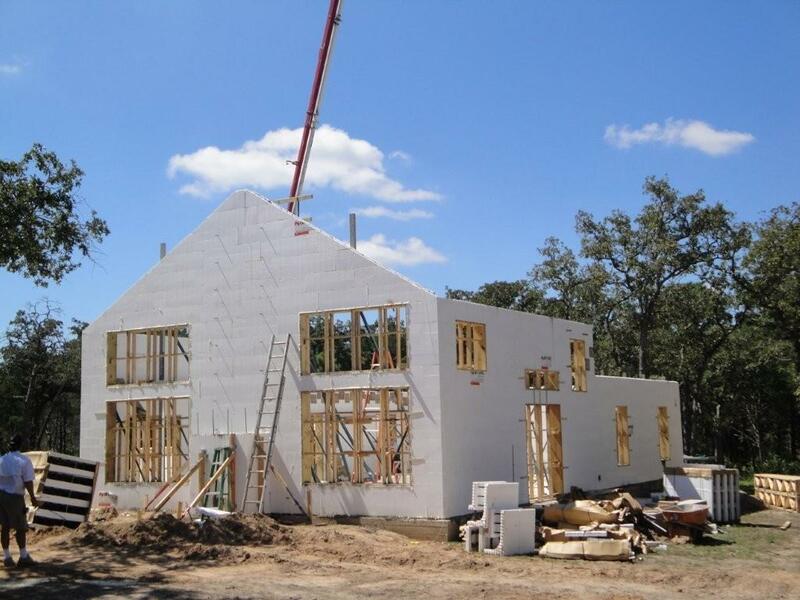 This off-the-grid Texas home combines energy-efficient ICFs with a variety of other technologies to create a one-of-a-kind residence. Polyurethane spray foam was used under the roof deck to create an assembly that approaches the energy efficiency of the ICF walls. 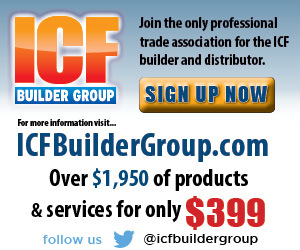 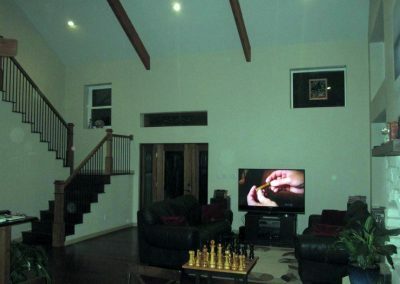 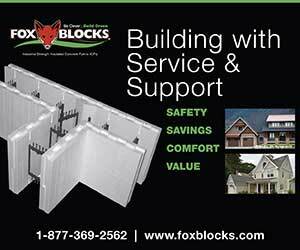 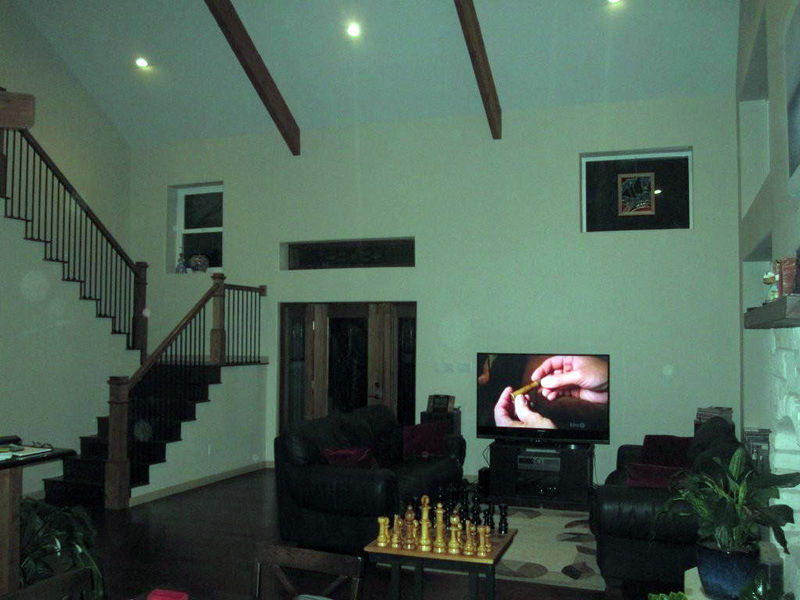 Form Distributor: Integrated Wall Systems, Inc.